If, and when, the ridiculous prohibition laws affecting cannabis are repealed medical cannabis will have been a major factor. Cannabis has been used for its medical benefits for thousands of years. Prohibition has been with us only for the last century and, ironically, during that time the use of recreational andmedical cannabis has grown significantly. The dramatic increase of home-grown medical cannabis has come as a direct result of prohibition which has forced people to grow their own medical stash. Medical cannabis grown using high quality seeds allows the user to grow their own herbal medicine at a fraction of street prices as well as guaranteeing premium medical quality. In parts of the world medical cannabis is openly available and legally tolerated; some areas of California, Canada and Holland have led the way. Meanwhile medicines based on cannabis extracts are becoming increasingly available. One of the best known licensed cannabis medicines is called Sativex from GW Pharmaceuticals. This is extracted from cannabis rather than synthesised and is delivered as a mouth spray. It is available in a growing number of countries and is being used for the same applications that medical cannabis is already used for. Some medical cannabis supporters claim that medicines made from extracts of naturally grown cannabis are superior to synthesised cannabis medicines since the natural extracts contain the full range of cannabinoid compounds. These compounds are thought to have important interactions with each other that allow the full medical benefits to be experienced by the user. With every year of medical research into the use of cannabis comes new medical applications for cannabis. Some of the uses of cannabis are well known, and some are very surprising. Better known uses for cannabis includes restoring appetite in AIDS and cancer patients, treating pain in a range of medical problems and reducing the nausea/vomiting associated with chemotherapy. Cannabis is used to aid sleep by insomniacs, it was said to have been used by Queen Victoria of England for menstrual pain and today it remains a popular medicine for the same purpose. Research has been conducted into the way cannabis relieves symptoms of Multiple Sclerosis and spinal cord injuries as well as inflammatory bowel disease, fibromyalgia, migraines, schizophrenia, anxiety and numerous other illnesses. Some studies indicate that cannabis helps cancerous cells destroy each other in a process known as autophagy. This is an area thought to be receiving intense behind-the-scenes funding from pharmaceutical companies. Any cannabis user that has had the winter flu will be aware that cannabis not only gives a significant improvement in the overall sense of well being but it also reduces aches and pains, aids restful sleep and of course restores a (very) healthy appetite. The list of medical cannabis studies grows every year. Doctors are now investigating cannabis to help treat alcoholism, anorexia, arthritis, asthma, digestive diseases, Parkinsons disease and even post traumatic stress disorder. Very recent studies from California have found THC (one of the active ingredients in cannabis) helps prevent formations of deposits in the brain related to Alzheimer’s disease. One surprising area of research has also found that smoking cannabis doesn’t lead to any enhanced risk of lung cancer or COPD (chronic obstructive pulmonary disease). What is clear within the medical cannabis community is that the prohibition of marijuana and the resulting prejudice is taking many years to undo. However the number of applications for medical cannabis seems to grow each year as does general support and sympathy for medical cannabis from society as a whole. Only the most fanatical of cannabis opponents are sticking to their belief that cannabis has no medical value. 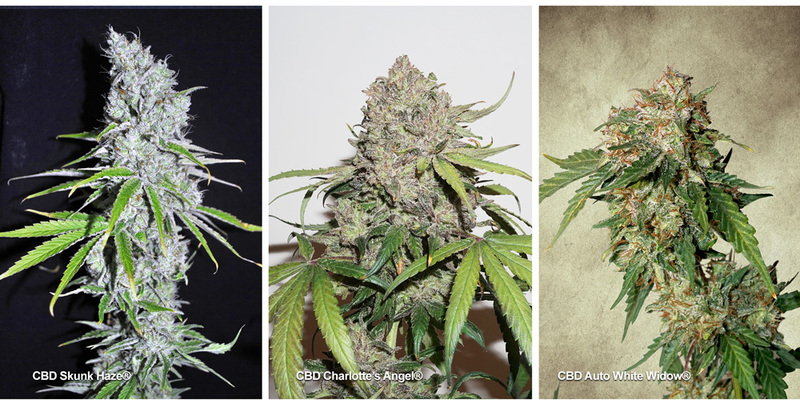 All strains of cannabis appear to have medical benefits, but increasingly some of the better quality seed suppliers are beginning to breed strains of cannabis specifically for medical use. In the case of Dutch Passion, growers and users have provided feedback on the medical benefits of various strains. This has allowed Dutch Passion to create their first strain specifically designed for the medical cannabis community. This strain is called Ortega Indica and is the result of many years of research and cooperation between Dutch Passions expert cannabis breeders and the medical community. Ortega Indica has a range of medical benefits and is the pinnacle of medical cannabis breeding. Like all Indica strains it promotes relaxing sleep, yet it does this without any subsequent drowsiness the following morning. This is a major benefit over tranquilisers and sleeping pills and Ortega Indica is seeing strong growth in the international medical community as more and more people seek natural alternatives for pain relief, sleeping assistance and treatment of their medical symptoms. In a few years time society will look back on the medical benefits of cannabis and wonder why we allowed a small minority of people to have criminalised cannabis in the first place. Until that point Dutch Passion will continue to support the medical cannabis community in every way possible, using sales of the remarkable Ortega Indica seeds to continue funding research into other medical cannabis strains.